On the 3rd February, 2015, Fijian Prime Minister Voreqe Bainimarama’s announced that he was putting together a National Panel which would create a competition for a new national flag, to commemorate the 45th anniversary of Fiji’s independence from Britain in 1970. He then went on to speak of his 2013 New Year speech, which suggested the creation of a new national flag. Citing the democratic election as a distraction for not continuing with his promise earlier, he announced that finally the time had come for a new flag for Fiji. Honouring the flag as an “important link to the past”, he said the decision to remove the Union Jack was not taken lightly, but that as a Government, the general consensus was that Fiji is rightfully due a change in flag. 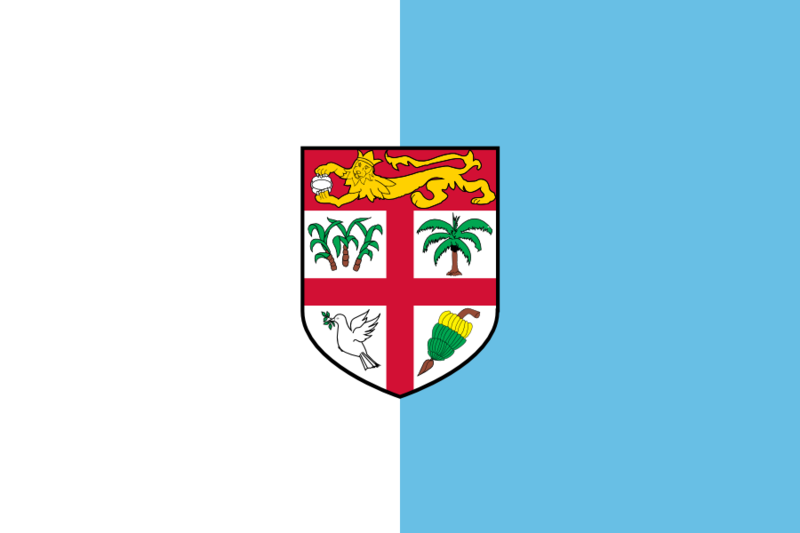 The current flag of Fiji, first flown on 10 October 1970, has a light blue field with the British Union Jack in the upper left corner. On the right stands a shield depicting a red band across the top that features a lion holding a peeled coconut. The remainder of the shield is quartered using a St. George Cross and in each of these quarters sits a picture: sugar cane, a coconut palm, a dove with an olive branch and a bunch of bananas. Each of these elements is symbolic. 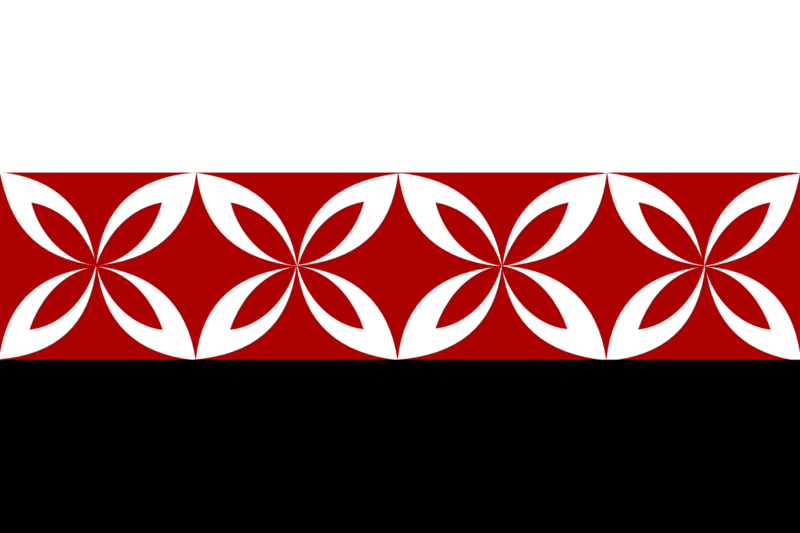 Prime Minister Bainimarama admitted in his February speech that the existing flag is “widely loved and admired”, and that it has served the country well since it was introduced at Independence in 1970. He believes, however, that after 45 years, the colonial symbols should be no more. 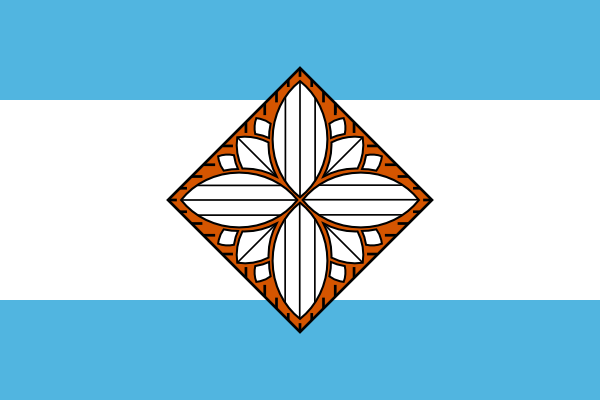 To understand the desire to change the Fijian flag, you must understand the history of Fiji. A brief look at its history makes clear just how far the island nation has come. Shaped over 35 centuries, Fiji’s pre-colonial history is a complex blend of influences by the Polynesian, Melanesian and, to a lesser extent, Micronesian peoples who came and either left or stayed. The original inhabitants of Fiji called their home Viti. These were the Lapita people, who arrived 1220 BC, most likely from Vanuatu. Their descendants relied heavily on fish and lived in peace until around 500 BC, when incursions from other parts of Melanesia caused intertribal feuding. Cannibalism became common, and in times of war, villagers moved from the coast to fortified sites. This remained the way of life for a very long time, and when Europeans discovered the island nation, they believed it was in a constant state of war. Intense social upheaval kept European settlement away until the early 19th century. It was Abel Tasman that first sailed past the 333 islands now known as Fiji, describing the region as an area of treacherous reef systems, not for the faint hearted. This description kept mariners away for another 130 years. James Cook was the next to pass through, though rather uneventfully, aside from a quick stop at Vatoa in the southern Lau Group. Finally, it was the newly arrived Tongans that eventually attracted the Europeans, trading colourful Kula feathers, masi (printed barkcloth) and weapons from Fijian waters. European whalers and traders of sandalwood and sea cucumber tackled their fears of dangerous reefs and cannibalism and began to visit the picturesque isles. In 1805, European traders began trading directly with Fijians, bartering metal tools, tobacco, cloth, muskets and gunpowder. By 1830, a small settlement was formed at Levuka, on Ovalau. The introduction of firearms increased the now-slowing tribal warfare and made lasting consequences of the trade. In a bid to rectify things, London Missionary Society pastors and Wesleyan Methodist missionaries were sent to preach against cannibalism and bring some kind of peace to a country at war. Eventually the chiefs started to convert and Christianity became accepted alongside traditional spiritual beliefs. But peace was not to be. The worldwide cotton shortage prompted by the American Civil War resulted in a cotton boom in Fiji that indirectly stimulated the trade in labourers. Europeans began bringing other Pacific islanders (mostly from the Solomon islands and Vanuatu) who were promised minimal wages, food, clothing and a return passage in exchange for three years work. By the 1860s, this had developed into organised kidnapping, and stories of abuse and cruelty put pressure on Britain to stop the trade. The comings and goings of traders left their mark, with an outbreak of measles wiping out about one-third of the indigenous Fijian population. Social unrest was on the rise and Fiji was pronounced a British crown colony on 10 October, 1874. The colonial period meant that Fiji could be more peacefully governed, and a colonial government fought to protect Fijian land rights by forbidding sales to foreigners. This successfully retained land rights for the indigenous owners, and today, indigenous Fijian communities still own 83% of Fijian land. The colonial government also set about prohibiting the employment of indigenous Fijians as plantation labourers. Fijians were reluctant to take full-time work for wages, so in a bid to strengthen good relations with its subjects, a deal was made with the Indian colonial government for labourers to come to Fiji on five-year working contracts. This deal helped to make the Fiji economy self-sufficient and the 1960s saw a movement towards Fijian self-government. Following 96 years of colonial administration, Fiji declared independence on 10 October 1970. But it was not without problem. The country struggled with important issues like land ownership and leases, how to protect the interests of a racially divided country, and accumulating debt. Political battles have since followed and it is only today, 45 years after being declared independent, that Fiji feels it is ready to stand on its own. So is a change in the flag warranted? When you consider the turmoil that Fiji saw before colonisation, it’s clear to see that being pronounced a British crown colony helped in establishing the beautiful country we’ve come to love today. While their colonial past and transition to independence were largely peaceful, most Fijians are looking forward to the celebration of their indigenous heritage. Fiji today is a strong nation and one of the more developed Pacific countries. The Prime Minister is not alone in wanting to announce to the world just how strong they are. Fiji is not the only country wanting to remove its colonial symbols from its flag. Of all the countries once part of the British Empire, a small few still carry the symbol of the Union Jack. The Union Jack suggests a country is a British colony or dependency. Of the independent nations in the world to have carried the Union Jack in its canton, only New Zealand, Fiji, Tuvalu and Australia remain. 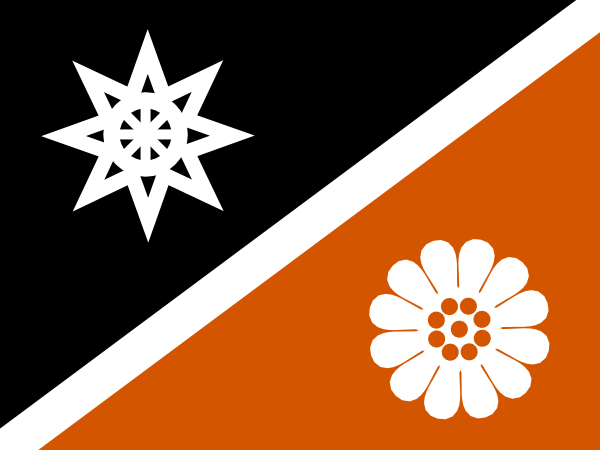 While Tuvalu has no immediate plans to change this, New Zealand has already started the processes involved with a new flag. Australia has not made any formal moves to follow suit, though many Australians are concerned that their flag lacks reference to the Indigenous people who rightfully own the land. 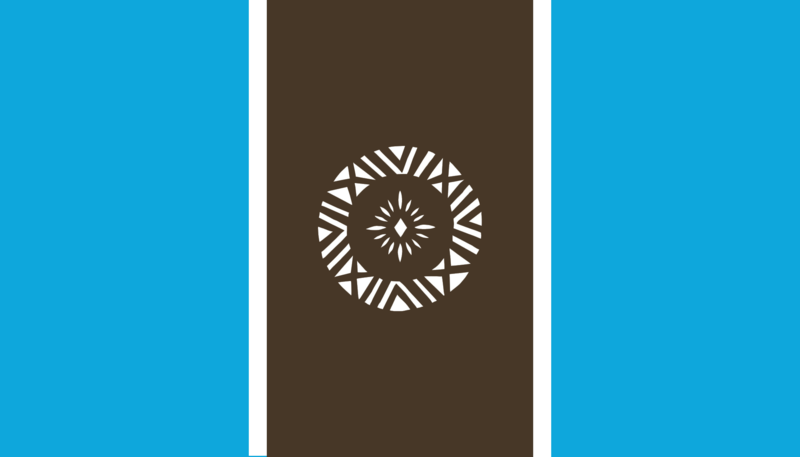 Could this be this new flag for Fiji? As part of his speech on February 3rd, Prime Minister Bainimarama outlined a process that encouraged all Fijians, including school children, to enter a national competition for the design of the new national symbol. A national committee has been formed to judge these entries, which closed last month. The only preference is that the existing “Fiji blue” remain as the background. A popular belief is that the dove carrying an olive branch will stay. After all, this is the part of the flag that represents peace, and the Prime Minister’s aim is to encourage peace and unity through the new flag. A palm tree could also be expected, reflecting the idea that Fiji is seen in the eyes of many as a tropical paradise. 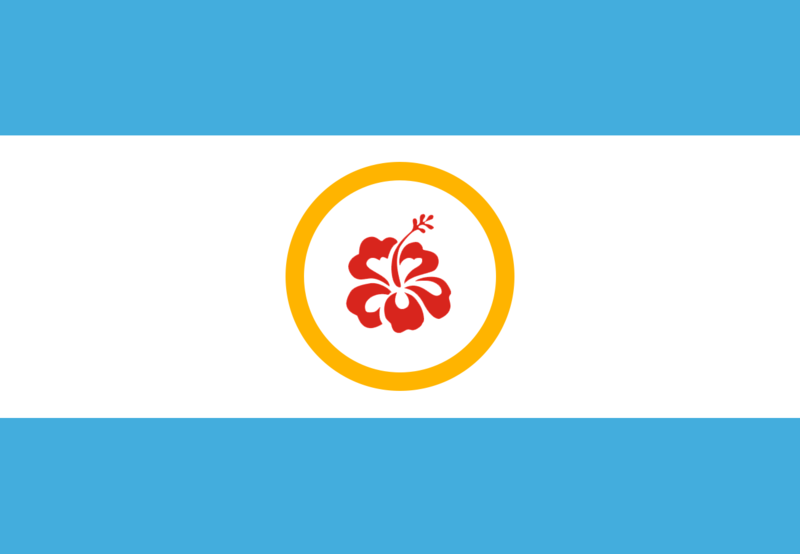 The new flag will be flown for the first time on October 10, 2015, on the 45th Anniversary of Independence.